The John West Féile na nGael and Féile Peile na nÓg tournaments are club festivals for Hurling, Football, Camogie, Rounders and Handball at Under 14 years of age level. Teams from every county in Ireland as well as overseas are invited to take part. 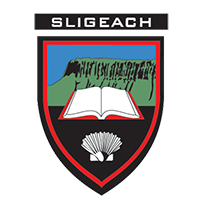 The national Féile committee, appointed by Uachtarán CLG, has the responsibility for the organisation of the tournaments. A local organising committee is appointed to manage much of the day to day activities. 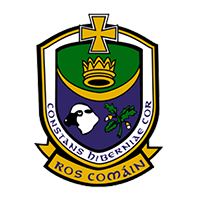 In 2019 Féile Peile na nÓg is being hosted by Connacht, while Féile na nGael is being hosted by Corcaigh. When will Féile Peile na nÓg 2019 take place? involved in Under 14 boys football and LGFA. Participating teams are either host clubs or visiting clubs. The host clubs come from the organising counties. Visiting clubs are clubs nominated by their respective counties. 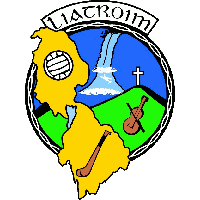 Generally, these teams are nominated by their county having won the local Féile competition. Invitations also are extended to the various overseas units of the GAA to send teams. The number of visiting teams is decided by the number of hosts available. All Football, Hurling and Camogie games shall be played on a 15-a-side basis, unless the national Féile committee has decided that particular divisions can be played at 13/11/9-a-side. This is agreed based on the requirements of the local organising committee. Do we play on a full-size pitch? 15-a-side and 13-a-side games are played on a full-sized pitch. If there is an 11-a-side division the games take place on a modified pitch, with the goals placed on the 20-metre lines on the pitch, with full pitch width. How old can players be to take part? The age grades for Féile are the same as for Under 14 football and hurling county competitions. Players who are over 10 and under 14 years of age on 1st January in the year of Féile are eligible; this means that any player that turns 11, 12, 13 or 14 in 2019 is eligible to take part. Any player that is eligible to play Under 10 Hurling or football in 2019 is too young. We have both boys and girls teams, can we take part in both competitions? Yes, any club with both boys and girls teams can take part in both competitions. Please note that you will have to host both a boys and girls team. We have two Under 14 teams – A and B – and we take part in our county competitions, can both take part? Yes, both teams may be entered in to the Féile. Please note that you will have to host two teams and two sets of mentors if required. The host club teams will have no say in where they will be playing if they enter two sides so be prepared for travel and separation of parents. It is correct to have two sets of mentors and officials should a club wish to enter two sides. We are combined with another club at Under 14, can we take part? Yes, Independent Teams are permitted once they participate in the local county Under 14 competitions that year as an Independent Team. It is not permitted for two or more clubs to try to form a specific Independent Team in order to take part in Féile only. To enter Féile teams must complete and return the application form and pay the entry fee of €150.00 (per team), before the agreed deadline. The deadline for applications for Féile Peile na nÓg is 1st December 2018. Hosting is a key part of the ethos of Féile. 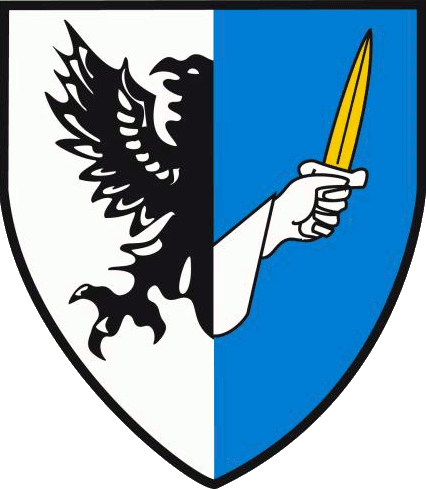 Host clubs are paired with a visiting team. The players and mentors from the visiting teams stay with members of the host club, and games take place on the host club’s pitch. Host families should be well known to club officials and are required to comply with vetting procedures. How many players and mentors stay? For the 15-a-side competitions, panels are a maximum of 24 players. Where a division is 13-a-side, the panel limit is 20 players. There is also a limit of four mentors. Players are hosted in pairs by members of the host club. There is no obligation to host more than 24 players. We are entering both boys and girls teams, what does this mean for hosting? As you are entering a boys and girls team, you would host both boys and girls teams. Where players are hosted by a local family it must be based on either two boys or two girls, rather than mixed – i.e. one boy and one girl. Is it mandatory to host a visiting team? To take part as a host club, yes, it is a requirement that you host a visiting team. There is no derivative to this rule. How do you decide who we host? Each host team is graded into the appropriate division by the local organising committee. At the same time, the national committee grade the visiting counties. A draw is then completed matching each host team with their visiting counties. As each county competition is concluded and teams are nominated as visiting teams, clubs are put in touch with each other. We already have a relationship with a club from another county that is travelling to Féile. Can we be paired with them? Unfortunately, this cannot be guaranteed. The timing of the local competition in the visiting counties varies. 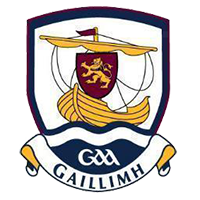 In some cases, the Féile tournament is the first tournament of the year, taking place in February/March, however many visiting counties complete their competitions in April. To be as fair as possible to the visiting teams – especially those travelling from overseas, the draw is made in early in the New Year. This is to allow the parents and supporters of any visiting team book accommodation. What is the format of the competition? Generally, there are 16 teams per division. Each division is divided into four groups of four teams – A, B, C and D, composed of two host clubs and their visiting teams. The initial stages of the National Féile will be played on a league basis, with each team playing three games. Within the round robin stage, two points are awarded for a win and one for a draw. The top two teams in each group shall qualify for the Cup quarter finals with the 3rd and 4th placed teams qualifying for the Shield quarter finals. The Cup and Shield tournaments are then played off on a knock out basis. Who decides what division we play in? Grading is the process of ranking all the host and visiting teams into the appropriate divisions. The local organising committee will grade the host clubs. This is based on the local grading for U14 that year, and also on previous year’s activities at U12 and U13 as appropriate. 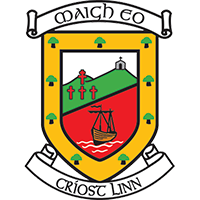 The visiting counties are graded by the national Féile committee. How many games are played, and when? The final fixtures schedule is agreed with the local organising committee. Usually, there are two games played on the Friday evening, with the final group game played on Saturday morning. Generally the Friday evening games are played at one of the two host clubs, usually where there are two or more pitches. The Saturday morning game is played between the host and their visiting team, and takes place at the host club venue. Upon completion of the group games the teams are ranked based on results from the three league games. The quarter finals are played on Saturday afternoon/evening, with the semi-finals and finals played on Sunday morning/afternoon. All teams are guaranteed four games at a minimum and all teams will play up to the quarter final stages. All games are played at 15 minutes per half. We only have one pitch, is that ok? Absolutely. The specific details of all the fixtures will be agreed with the local organising committee and will be adapted to suit clubs regardless of the number of pitches that they have. The Friday games as well as the knock out games generally take place in multi pitch venues, but again this will be decided closer to the tournament weekend. There are five full size grass pitches as well one full size astroturf pitch at the Connacht GAA centre that shall be in use over the weekend of 28/29/30 June. What about parades, BBQ’s or disco’s? Clubs are encouraged to arrange a social event including both their own members and their visiting team. Often clubs arrange BBQs or discos, but this is decided by each club based on their own needs and abilities. There is no parade organized by the Feile committee. There will be a fixtures programme produced with copies provided to every team in action. We had a player from our club take part in the skills competition before, is this still taking place? The skills star challenge takes place on a separate weekend to the national tournament. It is not as part of the National Féile weekend. In 2019 it takes place at the National GAA centre, Abbottstown.